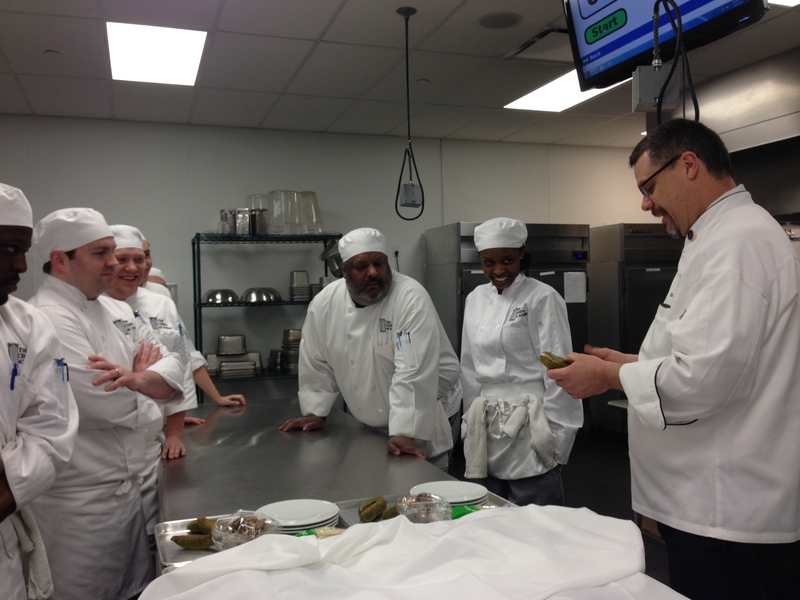 The Chef&apos;s Academy has an annual competition between their students called, “Who’s Left Cooking?” The competition occurs during the first three weeks of Apr. and is open for anyone to attend. I had the opportunity to be a judge for the competition&apos;s first round, appetizers. Chef James Clark of the Carolina Inn and Chef Jimmy Reale of the Chapel Hill Country Club joined me in the difficult task of selecting the teams to advance to the second round. The second round will be on Apr. 12, when The Chef&apos;s Academy students discover the secret fish they will be cooking. The third Friday, Apr. 19 is the entrée course round; the last two teams standing will compete in a dessert round the same day to determine the ultimate winner. Visitors should definitely come to Greater Raleigh to attend this unique event. Anyone is welcome to watch the students during the heat of the competition and to listen to the judges during their deliberation. The "Who&apos;s Left Cooking?" competition is similar to the popular Food Network show, Chopped. 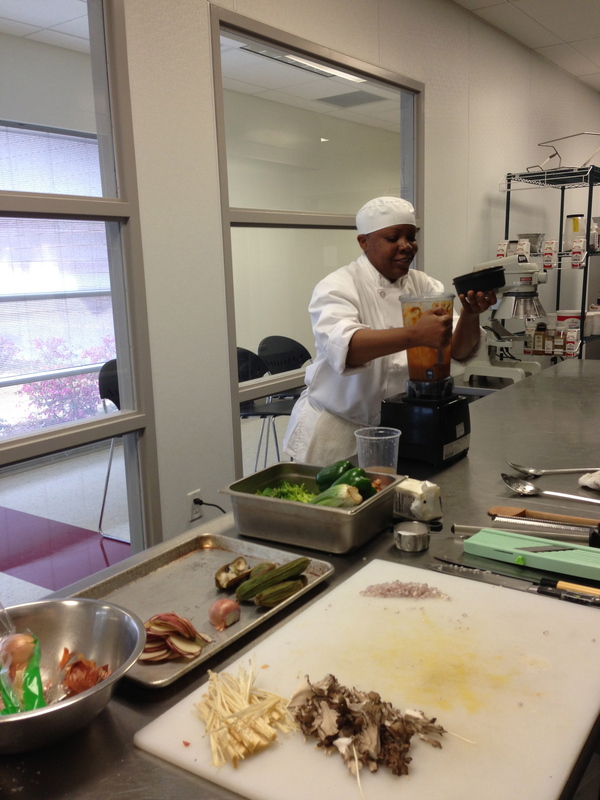 Chef Eddie Wilson, Chef Instructor at The Chef&apos;s Academy presented the three secret ingredients to the students. The facial expressions of the students were priceless! 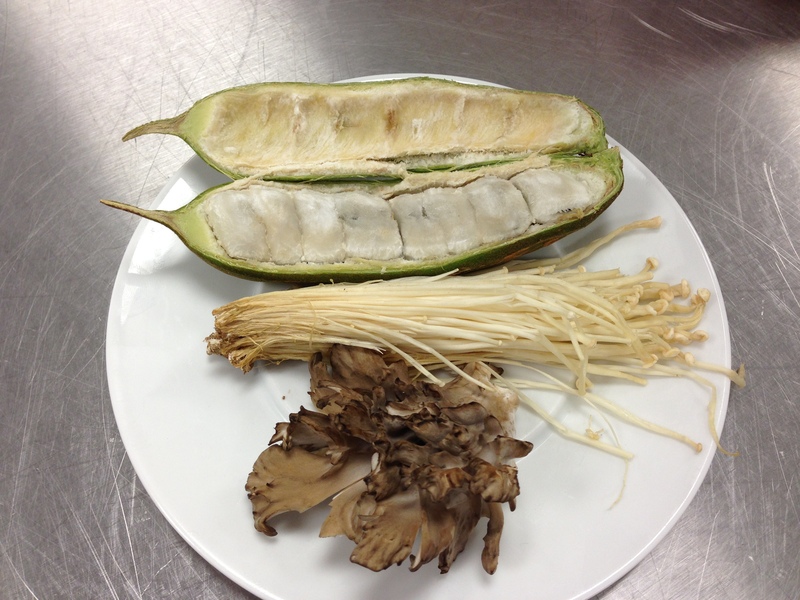 The students were shocked when Chef Eddie presented them with ice cream beans and Maitake and Enoki mushrooms. None of the students or judges had ever seen an ice cream bean and were surprised to taste it&apos;s sweet, vanilla flavor. Each team would have an hour to create a beautiful and delicious appetizer to successfully impress the judges. If they could win the judges over, they would secure their spot in round two of the "Who&apos;s Left Cooking?" competition. After the secret ingredients were revealed, the teams immediately got to work planning their appetizers. 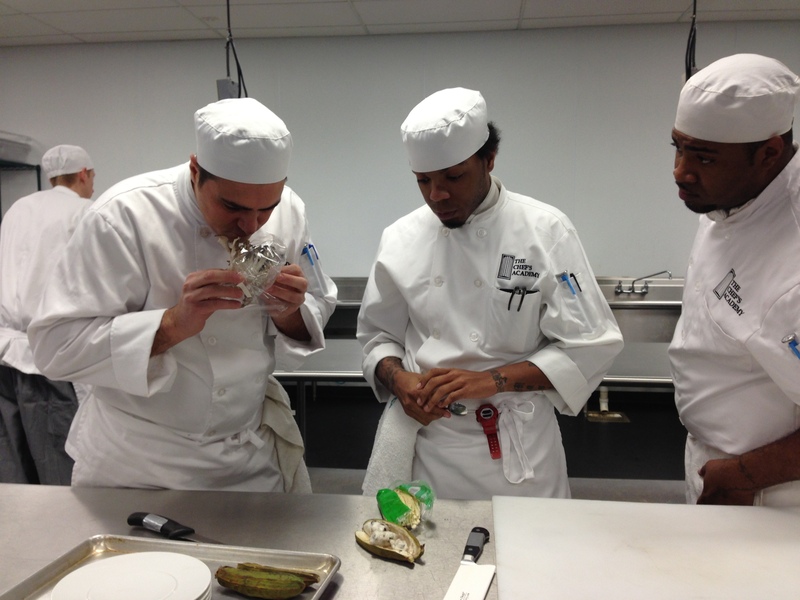 The students smelled and tasted the ingredients before executing a game plan. The students were required to select their teammates and unique team names a few days before the competition. The "Food Fighters" were one of my favorite teams to watch during the appetizer battle. 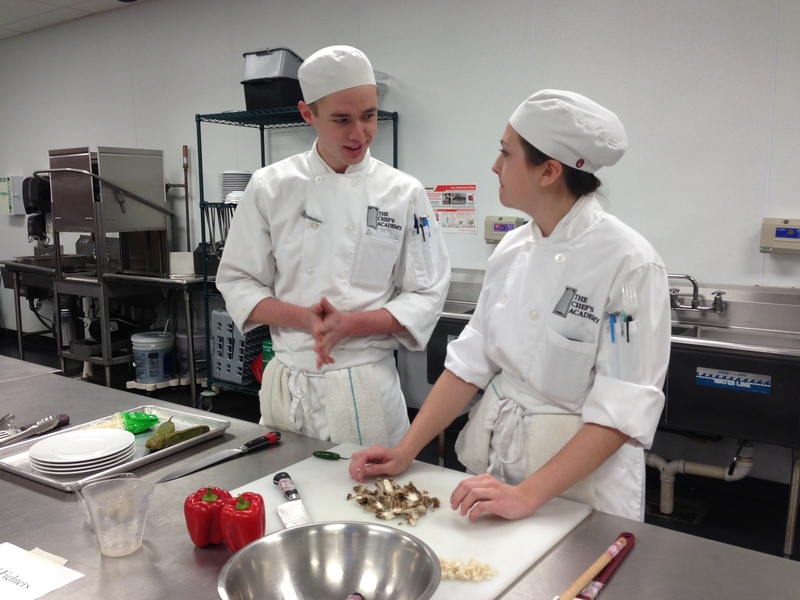 They worked well together and consulted each other during every step of the cooking process. This team was meticulous and kept their work station clean, which was important because sanitation and waste management were two categories being judged. Teams were often working down to the wire, making purées and chopping vegetables with only minutes to spare before the dreaded buzzer. I could feel the heat of the competition as students were getting down to crunch time. My heart was racing for the students and I even found myself biting my nails. However, I looked around and noticed students with smiles on their faces, they were clearly having a great time. 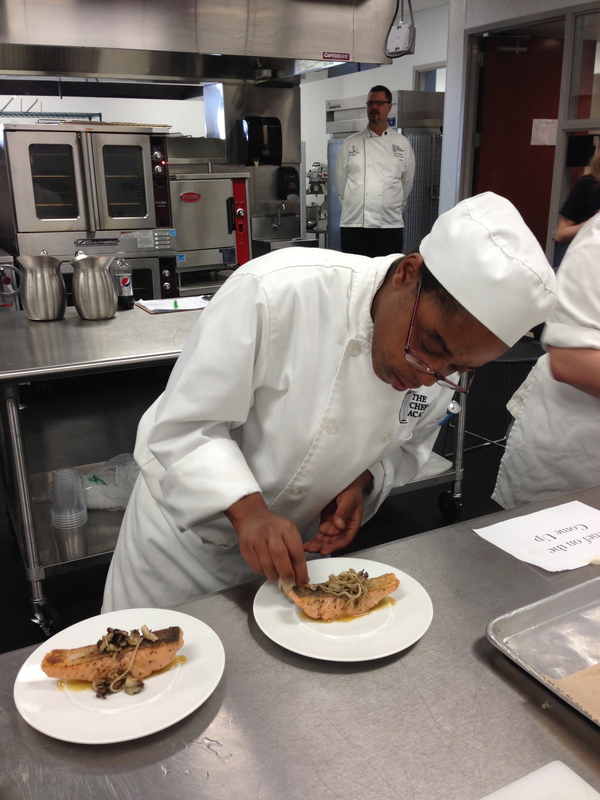 The students plated their appetizers for the judges, which would then be scrutinized for flavor and presentation. The "Chefs on the Come Up" team presented their appetizer quite nicely, which included a pan-fried salmon with a sweet vanilla citrus sauce. One of the most flavorful dishes in the appetizer competition was by the "Unstoppable" team. Their chicken was cooked to perfection and was topped with a beautifully colored medley of peppers and onions, which captured the flavor of the ice cream bean. The mushroom risotto went along nicely with the dish as well. The showstopper of the appetizer round was definitely from the one-woman team, "Chase." 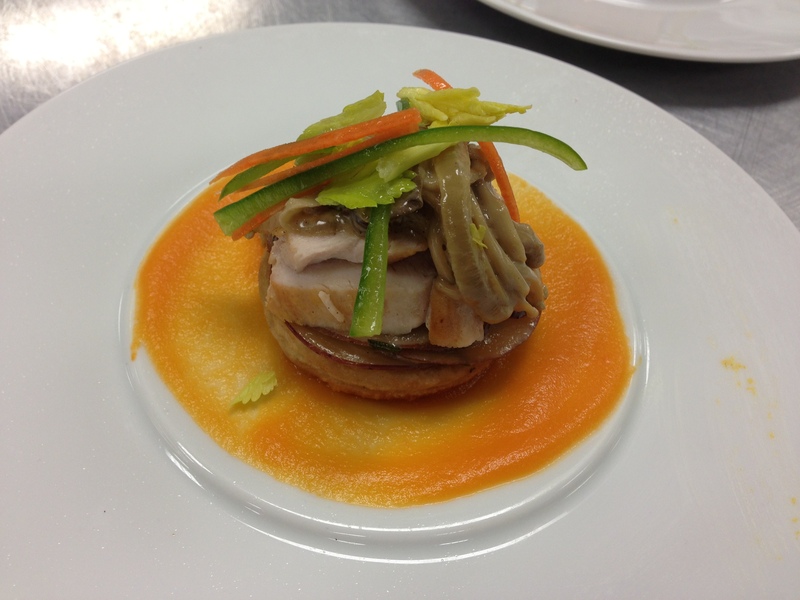 She created a deconstructed chicken pot pie, which was by far the most creative dish of the competition. I was highly impressed with each layer of the dish; carrot and ice cream bean purée, a pan fried dumpling, mushrooms and potatoes, oven roasted chicken and fresh celery, carrots and bell pepper. What a tremendous job for a single person to accomplish in one hour, unbelievable! I also enjoyed tasting the salmon tartar with vanilla and Serrano pepper, which was prepared by the "Las Chupacabras" team. 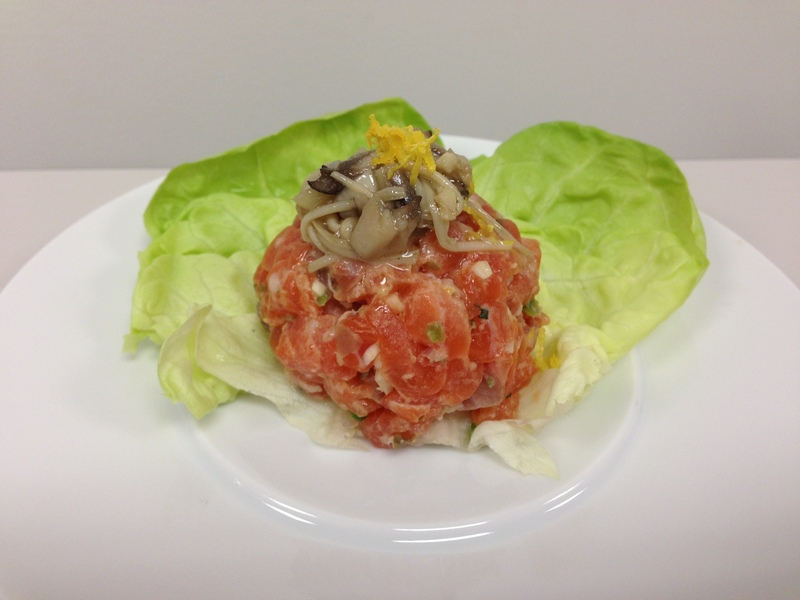 The tartar was plated nicely and included a delicious mushroom salad with leeks, garnished with lemon zest. 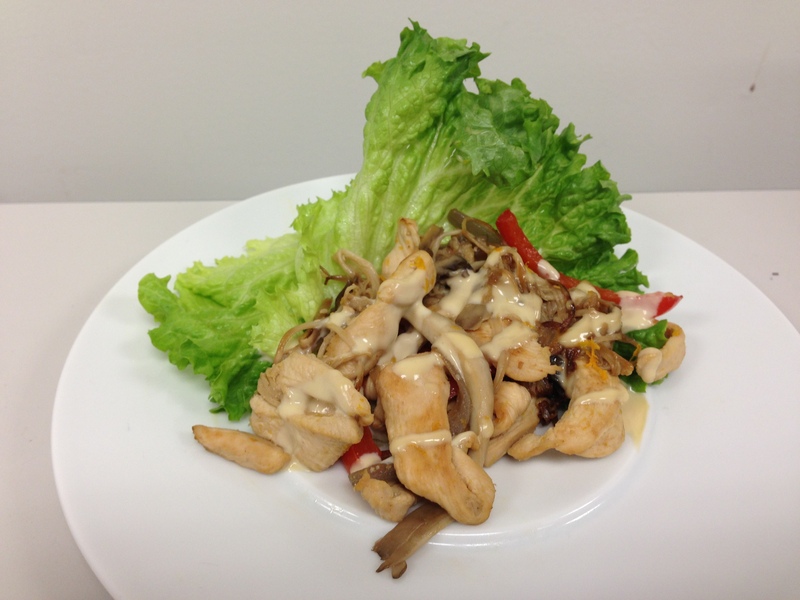 The "Fusion Cuisine" team delivered a tasty appetizer to the judges, an Asian-style lettuce wrap. 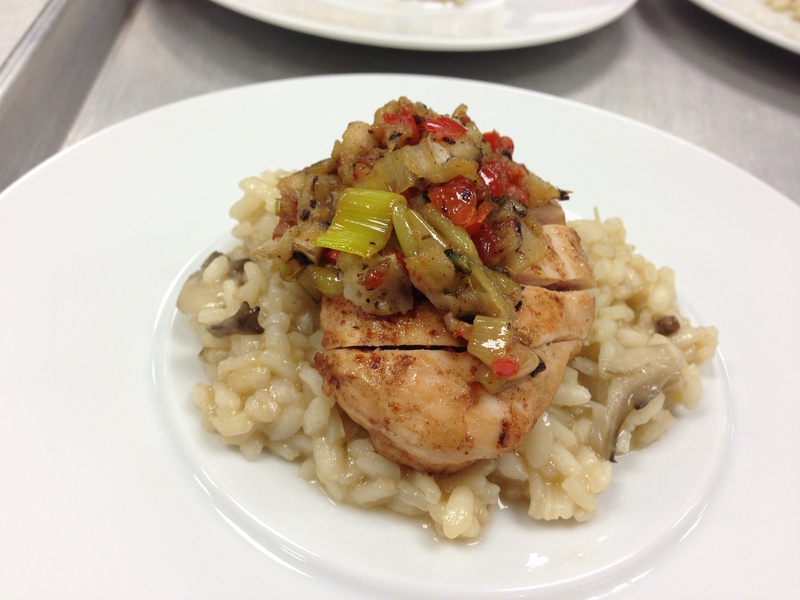 The orange vanilla bean reduction went well with the chicken and the dish was colorful. I had an excellent time serving as a judge during round one of the "Who&apos;s Left Cooking?" competition. Although we had to send two team packing, the judges provided helpful feedback to the students and had a wonderful time. Each time was amazing to watch and I was highly impressed by the skills they are mastering at The Chef&apos;s Academy. I&apos;m looking forward to seeing the winning team and encourage you to visit The Chef&apos;s Academy to cheer on the students.